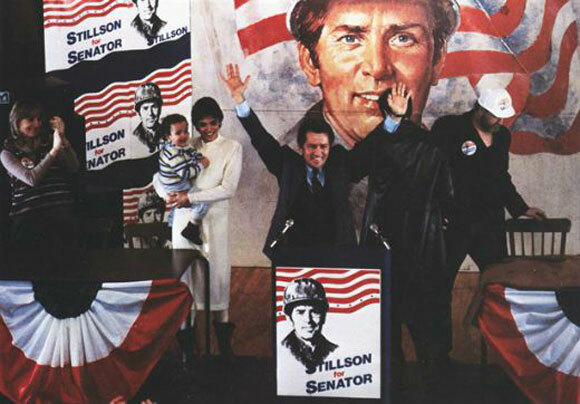 Top 10 Films delves into the murkier side of the US presidency as it has appeared in cinema. 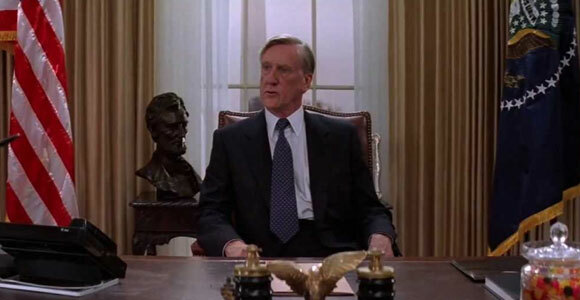 Here’s our top 10 worst movie presidents, the sorts of guys only fiction can concoct (or can it?). 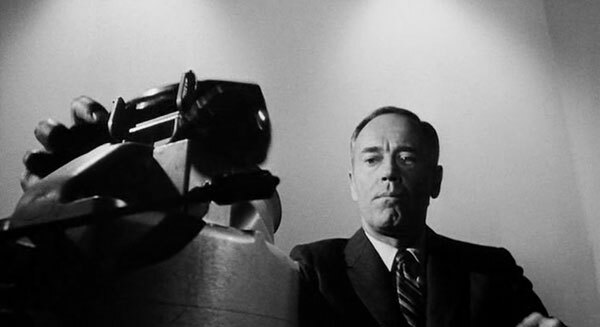 Arguably one of the best presidents in film, Henry Fonda’s unnamed POTUS nevertheless sacrifices New York City (and his wife) to appease the Russians after an accidental nuclear strike hits Moscow. 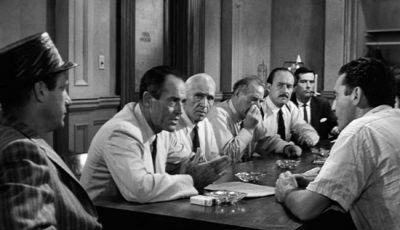 This 1964 film from director Sidney Lumet muses on the permutations of nuclear war and the fragility of the systems in place to avoid it. The president’s decision saves the country from all-out nuclear war but is directly responsible for innocent American deaths. 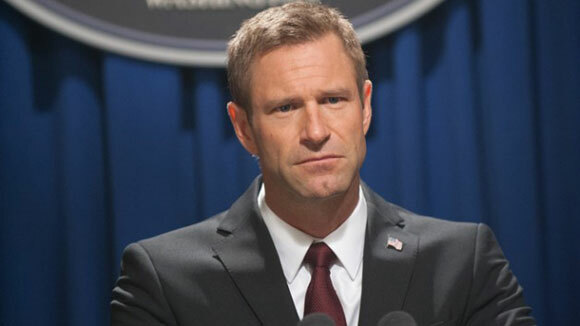 Aaron Eckhart’s President Asher is actually a pretty good guy but a “good” president of the United States he isn’t. Forever getting into scrapes and allowing the U.S. government to be held to ransom, Asher relies upon his vice-president and chief secret service operative to protect the USA’s interests and his own life. The American people surely can’t wait for this guy’s term to be over. Christopher Walken’s Johnny Smith has the ability to see the future in David Cronenberg’s adaptation of the Stephen King novel. 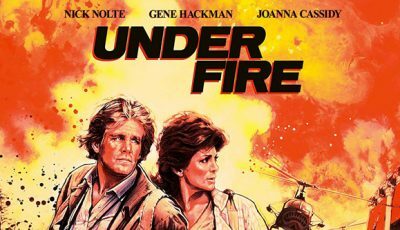 When he sees the future political failings of U.S. Senatorial candidate Greg Stillson (Martin Sheen) bringing the world to nuclear apocalypse he decides he kill the would-be president in the past to protect the future. 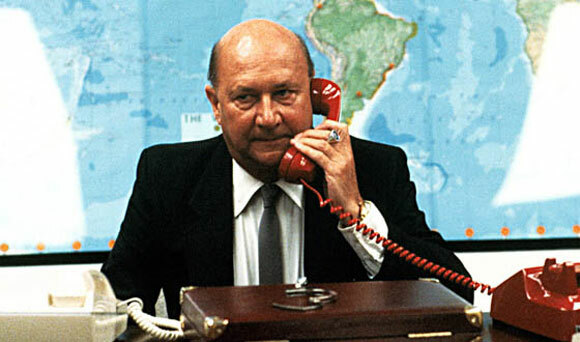 A self-centred president whose policies merit self-preservation above the needs of his people, Donald Pleasence is a commander-in-chief fit primarily for a fascist state governed by an iron fist. Jack Nicholson’s President Dale isn’t the sharpest tool in the box. 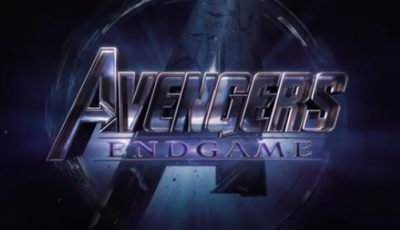 When aliens attack he’s understandably ill-equipped to deal with the invasion but his attempts to stand in their way only lead to further trouble. America has degenerated into a Police State with a fascist president dictating a new moral code that removes any personal freedoms. Anyone not willing to abide by these laws is exiled to a prison island off the Los Angeles coast. Oh, and he orders Snake Plissken’s death but the anti-hero, thankfully, has the last laugh. A seemingly well-meaning president, Muffley’s inability to communicate with his Russian counterpart intensifies the threat of nuclear war. 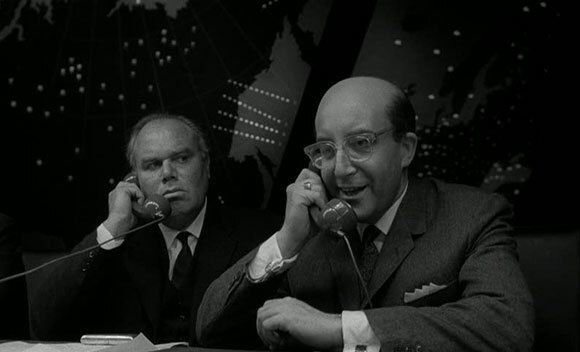 Hardly a confident speaker, and short of diplomatic nuance, Peter Sellers’ POTUS in Stanley Kubrick’s enduring classic Dr. Strangelove is a puppet to those department chiefs, advisors and military commanders inside the presidential bubble. One-on-one with his political adversary he’s open to blunder without scriptwriters guiding his tongue. 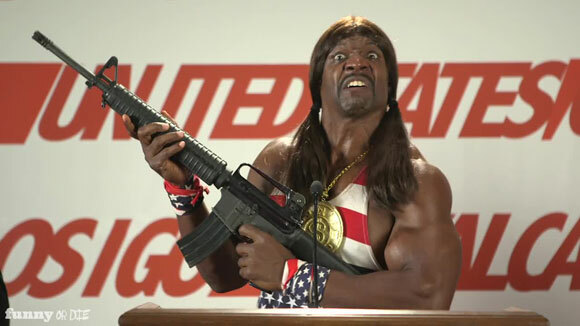 Mike Judge’s Idiocracy is an unnervingly prescient satire, more relevant as we enter the age of Donald Trump’s tenure as POTUS. As president of a nation whose entire IQ has devolved to the point of stupidity at the highest levels of government, Idiocracy is the result of demagogic figures preying on mass fear (and ignorance) and then abusing their own power to the detriment of their people. 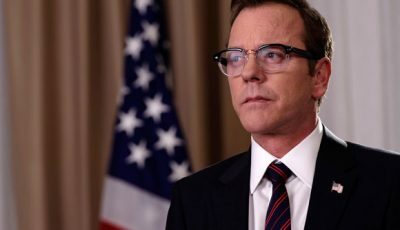 A feeble, insecure, hesitant, unconstitutional and self-serving president, Donald Moffat’s commander-in-chief wants to enact revenge on the Columbian drug lords responsible for his friend’s death. It just so happens he’s president of the United States of America and has all the resources to carry out a secret, undercover war with highly trained commandoes sneaking through the South American jungle in search of their prey. Thankfully, Harrison Ford’s Jack Ryan is on hand to make things right. Gene Hackman gives us his “nasty” best in this gripping adaptation of the David Baldacci novel. Believing the president is above the law he tries to cover-up the death of his mistress after the young woman retaliates when he sexually assaults her and is killed by secret service agents. Over to you: name your worse movie presidents? I’d take these guys over trump. I’m not sure Trump would stoop as low as some of these guys but I wouldn’t want to put money on it. Love the inclusion of Idiocracy. Can’t beat it. 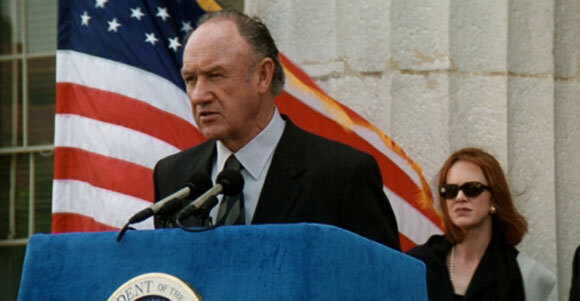 But Gene Hackman is so snide and sneaky and narcissistic, I can see why you’d place it at number one. 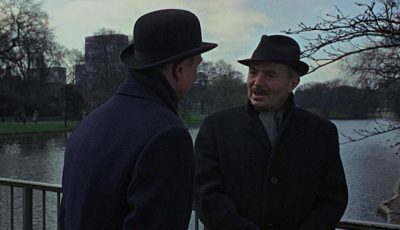 Always liked Hackman’s performance in the film because it’s so cool in its nastiness. Hackman is class in Absolute Power. 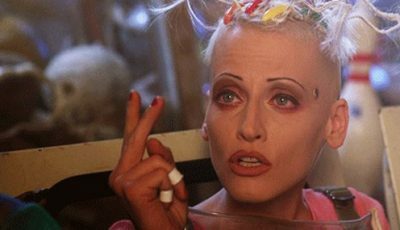 Can see Trump entering the world of escape from New York and no one saving him. Cliff Robertson also played a young JFK in PT 109. I’d also have Bill Clinton (in Contact) on this list – after witnessing that last election campaign I’ve come to the conclusion that he and Hillary are one of the most reprehensible couples on the planet. I’m no Trump fan, but I’m kind of glad he wiped his feet on them. 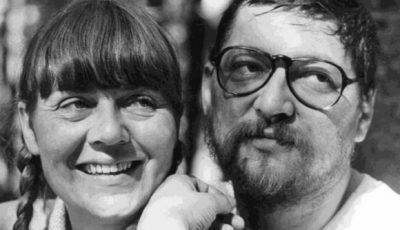 Clinton in Contact passed me by when I was compiling this list even though the Zemeckis film is one of my favourites. 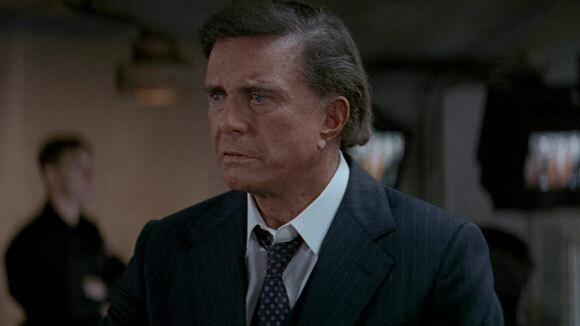 I guess, if I went down the real life presidents route, I would have ended up having Nixon on here two or three times courtesy of his various appearances in American cinema over the last 40 years. I could have also thrown in George “Dubya” Bush playing golf in Michael Moore’s Fahrenheit 9/11 while his underlings scurry around trying to avoid terrorist plots on “home soil”. The alternative universe Nixon in Watchmen could have been a fictional contender.